This afternoon I dropped in and watched as a community came together to "spare some time . . . spare some love . . . spare some hope." The Fifth Annual SSfA Celebrity/CEO Kids Bowling Challenge was held at Sparians Bowling Boutique and Bistro. In addition to raising money to help children with ASD improve their quality of life, the event was fun. Games, bowling, Italian ice and refreshments, face-painting, even an auction, made for a lively and hopeful afternoon. I have registered to retain my seat on the District Court Bench. Please join me in my campaign. I appreciate your support, and your vote. Spanish is my second language. I understand that immigration issues are hot-button issues, especially in a rapidly growing and changing county like Wake County. However, I remain committed to making certain that every resident of Wake County, regardless of skin color, regardless of nationality, regardless of immigration status, and regardless of language restrictions, be provided with fairness in our courtrooms. No one should be scared to come before a court of law in our county or our country to prosecute an assault, to report a theft, to provide the best for his children. I am a 1993 graduate of Wake Forest University and a 1996 graduate of the Wake Forest University School of Law. Following law school, I spent nearly two years working for Womble Carlyle Sandridge & Rice, P.L.L.C. Then, in 1998, I joined the firm of Schoch & Woodruff, L.L.P. (now Woodruff & Associates, P.A.) in Greensboro, where I devoted my practice to domestic law. Beginning in 2003, I practiced in the Raleigh firm of Herring McBennett Mills & Finkelstein, P.L.L.C. (now Herring Mills & Kratt, P.L.L.C. ), until I took the bench in 2009. I am a Board-Certified Specialist in Family Law and a DRC-Certified Family Financial Mediator. The year before I was elected, I was honored to have my fellow lawyers recognize my expertise and name me as one of Business North Carolina’s 2008 Family Law Legal Elite. 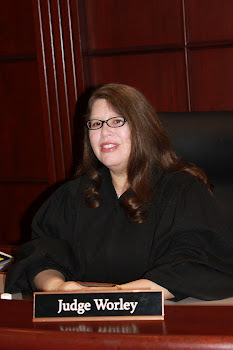 Elected to the District Court Bench, I have served Wake County for the past eight years. I spend three out of every four weeks in Family Court. While custody, child support, spousal support and equitable distribution, are hard and emotional issues, their resolution allows families to heal and move forward. In criminal court, I find protecting the public, while safe-guarding the rights of the accused, to be fulfilling work. With your vote and support, I look forward to keeping my position as a District Court Judge in Wake County.